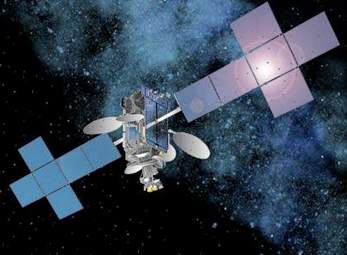 SES S.A. (Euronext Paris and Luxembourg Stock Exchange: SESG) announced that the SES-4 satellite is now fully operational and ready for service at the orbital location of 338 degrees East. SES-4 was successfully launched from the Baikonur Cosmodrome in Kazakhstan on board an ILS Proton Breeze M booster on February 15th, 2012. SES-4 replaces the NSS-7 satellite at 338 degrees East longitude and provides replacement as well as incremental capacity at this well-established SES orbital slot over the Atlantic Ocean. SES-4 is a 20-kilowatt satellite manufactured on the flight-proven Space Systems/Loral 1300 platform, with 52 C-band and 72 Ku-band transponders. It has C-band beams serving the eastern hemisphere of Europe and Africa and providing full coverage of the Americas, plus a global C-band beam to support mobile and maritime customers. Four high-power, regional Ku-band beams provide service to Europe, the Middle East, and West Africa, as well as North and South America, with extensive channel switching capability between C- and Ku-band transponders for enhanced connectivity. The satellite is designed to deliver services for 15 years or more.